The answer, of course, is neither. Jesus Christ is neither god nor demigod, neither superstar nor superhero. Jesus does not belong to a poly­the­istic pantheon. He is not one deity among many. 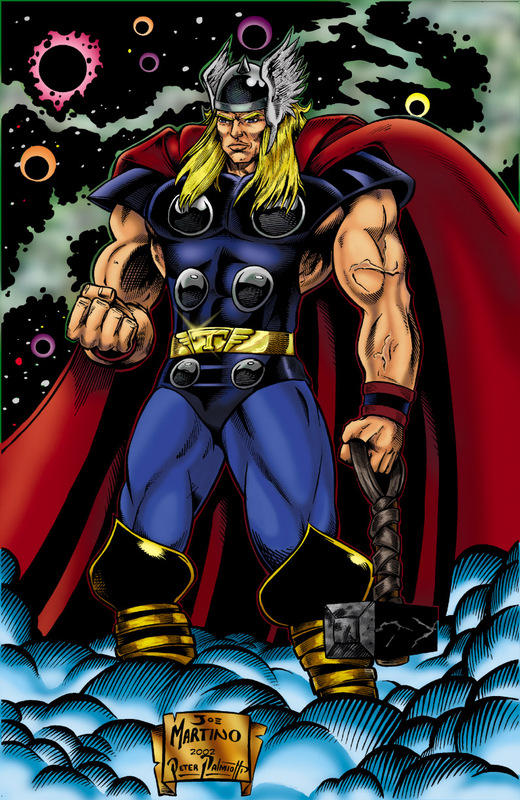 He is not the Son of God in the way Thor is the son of Odin or Athena the daugh­ter of Zeus. The mytholog­ical divinity of Jesus was ruled out by the Council of Nicaea, which confessed him “the Son of God, the only-begotten begotten from the Father, that is from the sub­stance of the Father, God from God, light from light, true God from true God, begotten not made, with the Father, through whom all things came to be.” As eternal Son, Christ perfectly possesses the divine nature of the Father who generated him. His deity is derived yet identical in glory and essence. All attributes of his Father are properly predicated of him, except Fatherhood. The upper-case is critical: we confess Jesus God, not a god. The Church’s doctrine of the Holy Trinity may be perplexing, even confounding, but it clearly intends to distinguish the confession of Christ from all expressions of pagan mythology. So, following the saintly fathers, we all with one voice teach the confession of one and the same Son, our Lord Jesus Christ: the same perfect in divinity and perfect in humanity, the same truly God and truly man, of a rational soul and a body; consubstantial with the Father as regards his divinity, and the same consubstan­tial with us as regards his humanity; like us in all respects except for sin; begotten before the ages from the Father as regards his divinity, and in the last days the same for us and for our salvation from Mary, the virgin God-bearer as regards his humanity; one and the same Christ, Son, Lord, only-begotten, acknowledged in two natures which undergo no confusion, no change, no division, no separation; at no point was the difference between the natures taken away through the union, but rather the property of both natures is preserved and comes together into a single person and a single subsistent being; he is not parted or divided into two persons, but is one and the same only-begotten Son, God, Word, Lord Jesus Christ, just as the prophets taught from the beginning about him, and as the Lord Jesus Christ himself instructed us, and as the creed of the fathers handed it down to us. True God and true man. One person, two natures. It’s understandable that folks might think of Jesus as a demigod. Didn’t Jesus heal the blind, turn water into wine, and still the storm? Who but a god could do such things? One might even point to the nativity narrative in the Gospel of Luke and infer that Jesus was begotten by God in the same way as Perseus was begotten by Zeus, all the while ignoring the rather obvious fact that the Lukan story pointedly avoids any suggestion of sexual union. The docetic turn has always been a temptation, and the best theologians and preachers of the Church have striven against it, even while occasionally succumbing to its mythic lure. In 1977 a controversial collection of essays by various scholars was published in Great Britain: The Myth of God Incarnate. I was in seminary at the time and well remember the brouhaha that it caused. Oh the heated and entertaining debates we had in the classroom and refectory! Archbishop Michael Ramsey happened to be lecturing Nashotah House at the time, and he eagerly entered the lists. The book prompted an illuminating exchange in the New Blackfriar’s Review (subsequently republished in God Matters) between Herbert McCabe and Maurice Wiles, one of the contributors to the volume. With the idea of God as creator, as source of esse (roughly the being of the thing not just over against a world-without-it, but over against nothing, not even ‘logical space’) comes the idea of God as relevant to things precisely in virtue of transcendence. This God cannot be a Top Person summoned to fill the gaps in the natural order; this God must be at the heart of every being, acting in every action (whether determined or free), continually sustaining her creation over against nothing as a singer sustains her song over against silence—and that too is only a feeble metaphor, for even silence presupposes being. Of course Christians, McCabe goes on to explain, do not pretend to understand what it means to confess that the eternal Word has assumed human nature in Jesus, just as they do not “understand what it means to say that God created the world or that the conse­crated elements are the body and blood of Christ or indeed that God exists or that I am a sinner. The doctrine of the incarnation, like the doctrines of creation or redemption, is not conveying information, it is pointing to a mystery in Jesus” (p. 58; italics mine). McCabe then addresses the point upon which we all tend to stumble—namely, the feeling that the doctrine of the Incarnation “ought to tell us what Jesus was like, or what it was like to be Jesus” (p. 58), as if the Chalcedonian Definition is teaching us what the God-Man must have thought and felt. “Of course it does not,” writes McCabe; “it does not tell us of his life but of the significance of his life. It authorises us to say, for example, because of the life of Jesus, that our God was whipped and spat upon and that God has experienced total failure and death itself (and, incidentally, not to say, as Frances Young carelessly does, that, in Jesus, God ‘bore the pain and the guilt’ of evil)” (p. 58). McCabe provocatively applies his reasoning to the controversial question “Exactly what did the God-Man know and when did he know it?” He acknowledges that extravagant claims about Jesus’ knowledge have been made by theologians in the past—if Jesus is divine, how could he not know all about quantum mechanics?—but while these claims may have seemed appropriate to St John of Damascus or St Thomas Aquinas, they are irrelevant to the dogma of the Incarnation. The divine nature cannot be mixed and synthesized with human nature in this way. If they could be, Jesus would be reduced to a mythological deity. Wiles offers a thoughtful response to McCabe’s review, but unfortunately passes over McCabe’s assertion that divine nature and human nature must not be understood as competitive, mutually exclusive realities, as if they existed on the same metaphysical plane. Jesus might be God or he might be human, but he cannot be both simultaneously. Against all such either/or construals Chalcedon dogmatically confesses the mystery of the hypostatic union. Wiles does contest McCabe’s claim that the doctrine of the Incarnation does not give us information about the historical Jesus and asks McCabe to explain why he believes that Jesus is divine. In his reply, McCabe acknowledges that Christianity would be disproved if Jesus had never lived or if historical scholarship could demonstrate that Jesus’ body had “rotted away in Palestine.” But the doctrine itself, he continues, is not vulnerable to this kind of invalidation “because it does not assert historical facts either about the behaviour of Jesus or about his inmost psychology” (p. 69). It is making a different kind of claim. How then does McCabe justify his belief in the divinity of Jesus? So long as we are asking historical questions about what Jesus was like, we shall, according to the traditional doctrine of the incarnation, come up with answers to the effect that he was a man; not, therefore, an angel or a ‘supernatural visitant’, but a human being like ourselves except in not deceiving himself or playing at being superhuman as we do when we sin. But, of course, we do not simply examine Jesus historically to see what he was like; we listen to him, he established communication and friendship with us, and it is this rapport with Jesus that we explore a different dimension of his existence—rather as when we say that the world is created we are considering a different dimension of it from the one we look at as physicists. The insight that Jesus is uncreated, that he is divine, is available only to those in whom this rapport is established, to those ‘who have faith in his name’. That is why the Church alone, the community founded on this rapport, is able to pronounce on the divinity of Jesus, as she has done (I would maintain) implicitly in the New Testament (especially in John) and later more explicitly in the conciliar pronouncements. It would, I think, be absurd for a man to say: ‘I’m not a Christian myself, but I do see that Jesus must have been Son of God’. It is in the contact with the person who is Jesus, in this personal communica­tion between who he is and who I am, that his divinity is revealed in his humanity, not in any way, as it were, [by] clinical, objective examination of him. Any such examination will simply reveal correctly that he is splendidly and vulnerably human. Here is the answer to the question so often put to us by those outside the Christian faith: “Prove to me that Jesus is divine.” We can’t. Such “proof,” such as it is, is only available to those who have heard the summons of the risen Christ and been baptized into the eucharis­tic life of the Church. “I do not reflect on the life of Jesus in order ‘to check the truth of the doctrine,'” Fr Herbert declares, “but in order to enter into the immense mystery of the love of God” (p. 72). This entry was posted in McCabe & Turner and tagged Christology, divinity of Christ, Herbert McCabe, historical Jesus, Jesus Christ, Maurice Wiles. Bookmark the permalink. 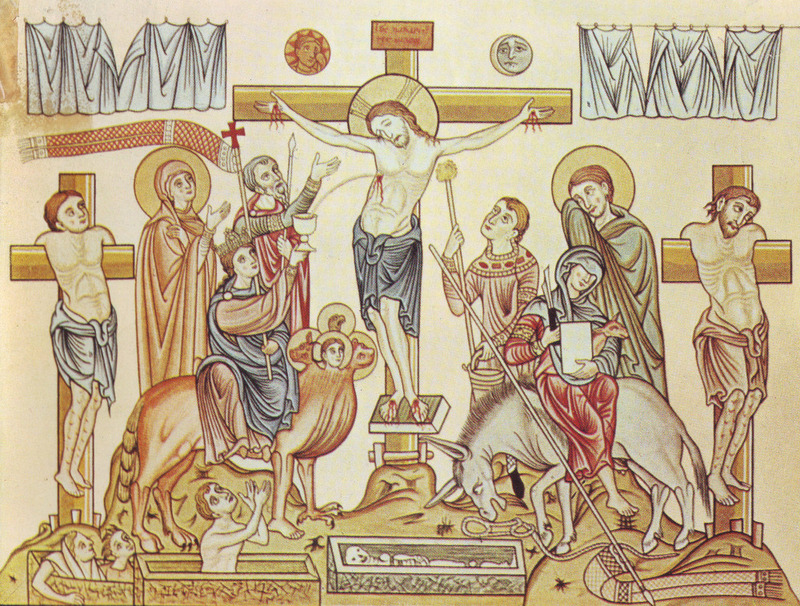 3 Responses to Jesus of Nazareth—god or demigod? Breakin’ out the comic strip photos! Move over Ed Feser! > The idea that Jesus, qua Son of God, constructed some special divinely authorized set of propositions such as the Christian creed is as anthropomorphic as the idea that God has a white beard. Whatever we can mean by speaking of God’s knowledge, we know that it cannot mean that God is well informed, that he assents to a large number of true statements [sorry Richard Swinburne]. Usually I find myself not entirely agreeing with McCabe, but this is an important point. It’s a common mistake (in my view) that isn’t limited to out-and-out neo-theists like Swinburne. W.N. Clarke seems to think that there is, in God, a level of intentional being that changes and is directed at the world. But immaterial beings do not take a look at some foreign object — that is a feature unique to embodied animality. It doesn’t make sense outside the context of beings that are spatially limited and have nervous systems. To know is to possess actual intelligible content. Immaterial beings don’t have any vector for “inputs”, as we do with sensation. There’s no way to take a look or intuit anything. They know by identity: they are identical with the intelligible content they know. The reason that God is omniscient, then, is an extension of the mode of immaterial knowing combined with the fact of his infinite and simple nature. God intelligible and actual. Intelligibility in act is intelligence. God is simple, and so if he is intelligible, he is identical with that intelligibility. He is infinite and so there is no intelligibility left over. Therefore, by knowing himself, God knows all there is to know. Therefore, there is nothing he does not know. What that is like we cannot know. But that God knows all things because he is infinite act follows from divine simplicity (not in spite of it). This does mean that when we say that God knows contingent fact, we are not saying that God would be different if that contingency did not come about and he knew some other contingency. God doesn’t know because he sees what goes on. He doesn’t register events in some internal log. God does even not have imminent acts directed at particular things in the world. That’s not something he lacks, since the act he does have is utterly unrestricted, all-pervasive, and fully intelligent. And that is the only reason Jesus can have both a human and divine consciousness. > And that is the only reason Jesus can have both a human and divine consciousness. Can you expand on this part a bit Thomas? I think I get it, that there’s a qualitatively and absolute distinction between Jesus’ human and divine consciousness. So there can’t be any conflict between the two. You explained the divine consciousness well, but what are we to make of Jesus human consciousness. In what way did it different from anyone else’s? How do we apply what you said more explicitly to Jesus’ ignorance of the hour?